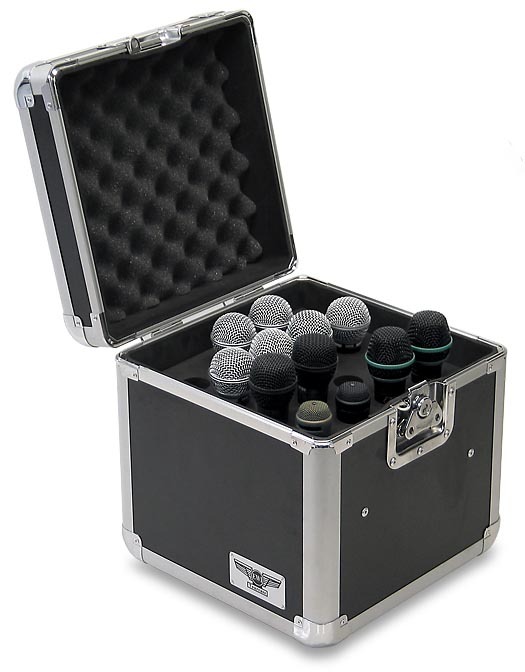 The EWI Tourcase tm Model M016A-30MM is a lightweight mic case suitable for holding up to 16 microphones. 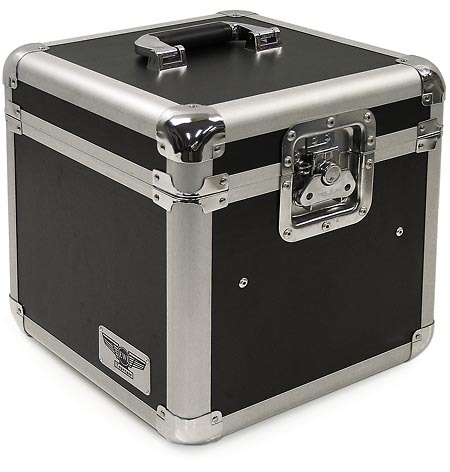 The foam mic caddy tray is removable which allows room for additional mics or other small items to be stowed below. The M016A-30MM side panels are constructed with 1/4 inch hardwood plywood and covered with a black ABS laminate finish. The lid is hinged on the back and held closed with a single butterfly latch. 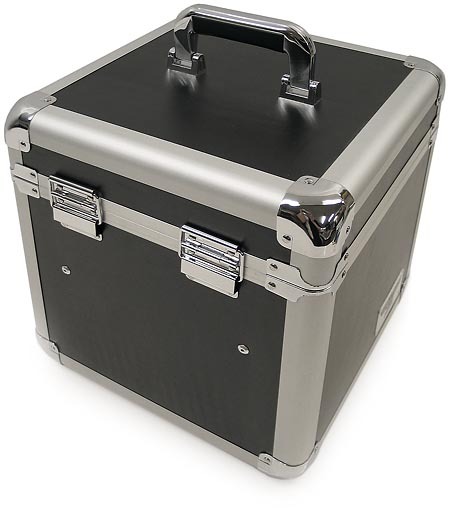 The case uses aluminum extrusion and each corner is protected by steel corner caps. 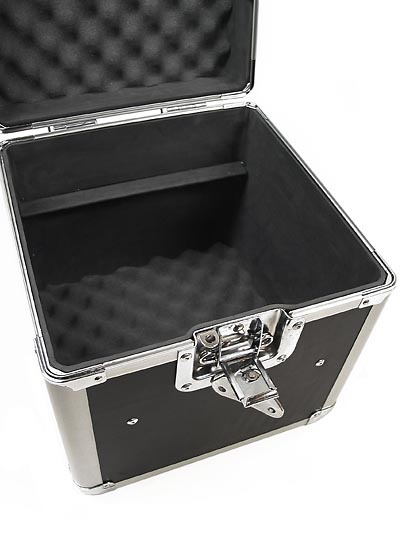 The case sits on 4 small rubberized feet and is carried by a padded handle mounted to the top. The interior walls are fully lined with a thin, high-density foam. The inside of the lid and the inside bottom is covered with medium density egg-crate foam. 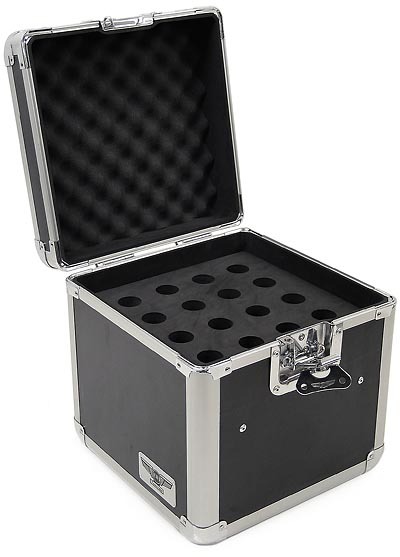 The removable mic caddy is constructed of 2" high density foam with 16, 30MM holes suitable for a wide variety of microphones. Left to right over-all: 11 1/4"
Height of inside bottom: approx. 9"
Over-all inside height including lid: approx. 10 1/2"
Dimensional shipping weight: 16 lbs.